Regardless of your area of expertise, it’s always nice to reach the stage where you become fairly confident in delivering the goods. And usually when you reach this level, you are at risk of becoming comfortable and dare I say it, complacent. Take my 3D work as an example: I always produce 3D visuals of interiors, whether it’s for an Interior Designer, an Event Design consultant or a Wedding Planner. But from today that is no longer the case. I recently entered a 3D competition, where myself and my 3D chums were tasked with the challenge of producing a photo-real 3D visual of a pre-constructed 3D model. 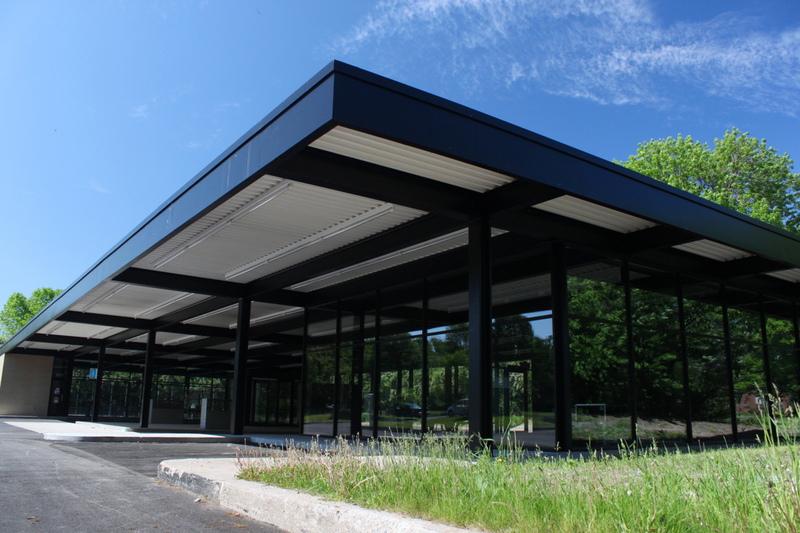 It focused mainly on Nun’s Island gas station, (I know), which was designed by the highly acclaimed Architect, Ludwig Mies van der Rohe. But then I had a rethink. Challenges are good, right? Undertaking something completely new should keep you on your toes, yea? Stepping outside your comfort zone and creating a 3D visual of cars ‘n’ stuff should be an interesting learning curve, uh huh? It was indeed. Cars, landscaping and people were all elements of this challenge that were new to me. So I rolled up my sleeves and got on with it. 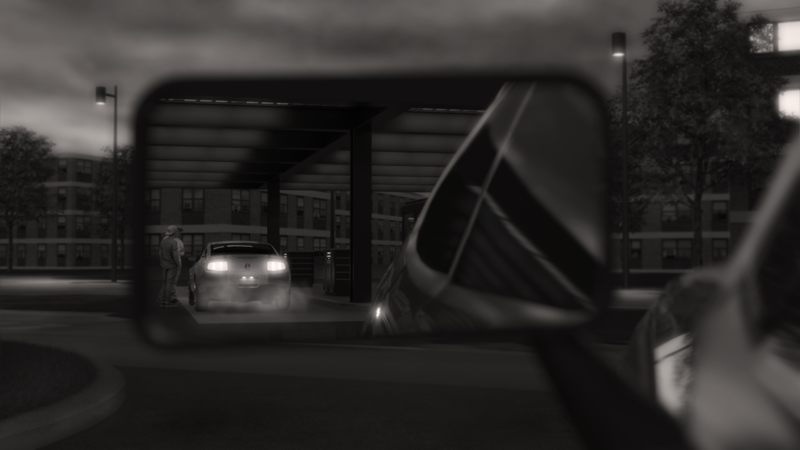 I gotta admit, due to the composition of my image, you can’t actually see an awful lot of the gas station but this was my attempt to ‘think outside the box’!